We are interested in speaking with people who share our vision and values. The Assembler is responsible for assembling components into sub-assemblies and finished goods on the production line. Assemblers report to the Production Team Leaders. 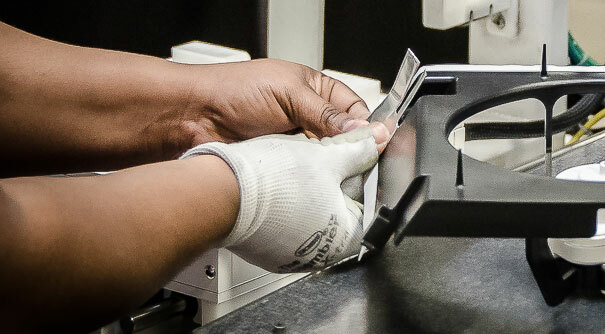 They perform a visual quality inspection on all parts prior to assembly. They assemble the components into sub-assemblies and finished goods according to the bill of materials. They are required to follow all standard work processes and work at established rate. The assembler is required to follow all safety policies and maintain a clean work station. The Material Handler will safely operate a forklift and ensure parts are delivered to the production line, warehouse or outbound trailer in a timely manner. They are required to visually inspect materials to insure that all products are in good condition. Material Handlers are required to complete all paperwork assigned with accuracy. Knowledge of the warehouse processes helpful. Candidates must have the ability to work collaboratively with other employees and management in the performance of their duties. They must be able to perform assigned job duties under constant time pressures and meet required deadlines. Ability to review and analyze internal business processes in the department and recommend improvements a plus as well as ability to operate a computer and related software and peripherals. The Material handler will be required to safely operate material handling equipment and work with minimal supervision and accomplish daily, weekly, and monthly goals.